Orange was acquired by T-Mobile and Telfort by KPN and the networks have been shut down and incorporated. More than 80 MVNOs are operating mostly on KPN network. The most important MVNOs are shown below as well as the offers of T-Mobile and Vodafone. Online only operators without stores like Simyo are skipped because they are not suitable for travellers (with the exeption of Mobile Vikings which sends their cards abroad). Coverage in 2G and 3G in the Netherlands is very good. KPN is market leader with the best overall coverage, followed by Vodafone on 2nd place and T-Mobile on 3rd. Like in most of Europe 2G is on 900 and 1900 Mhz, 3G on 900 and mostly 2100 Mhz. LTE has been started in 2013. The 4G coverage reflects the 2G/3G situation: in 2014 KPN has practically the whole country covered on 800 and 1800 Mhz, Vodafone covers about the half mostly on 800 and 1800 Mhz, while T-Mobile just 10% only on 1800 Mhz. A 4th licensee called Tele2 has not started yet. A good updated map of all providers 4G coverageis available. There is a big difference in accessability to customers at the moment: KPN gives LTE only to contract customers, while T-Mobile opens 4G to all its customers (including prepaid customers). Vodafone offers LTE to its prepaid customers since May 2014 at an extra charge (currently 5 EUR per month extra). Aldi Talk by Medionmobile uses the KPN network which has excellent coverage in the Netherlands. Even though KPN has a 4G network with >50 Mbps speed, Aldi Talk offers only a maximum bandwidth capped at 384 Kbps download and 128 Kbps upload. So for fast internet look elsewhere! The starter packs are exclusively available at Aldi stores Aldi store locator, one of the biggest discounter supermarket chains in the Netherlands. It is sold for 9.99 € with 13 € credit. They may not be on display but have to be asked for at checkout /cash register. The top up vouchers for 10 or 20 € are only available at Aldi stores in the Netherlands. Default data rate without or beyond the bundles is 0.29 € per MB. It's a MVNO provider on the T-Mobile network. For coverage and LTE see T-Mobile (note: Bliep states that LTE is not supported). Bliep's unique feature is that you can switch on and off functionality on a daily basis. This may be confusing for some as no other provider does this, but can be a good solution for some customers. It is only allowed to use the simcard in a mobile phone or tablet. It is not allowed to use the simcard in a mobile router, dongle or a similar device. Bliep SIM cards can be bought at The Phone House store locator and Kijkshop store locator chains. For buying online at their website you need to have a dutch bank account. The SIM card comes in a dual format of mini- and micro-sized SIM or nano size and costs just €10 (€10 balance included). The SIM card comes with an initial balance of €10. *Bliep top up vouchers can be bought at the same stores that sell *Bliep SIM cards or a T-Mobile top up voucher can also be used. These can be bought everywhere eg. supermarkets, kiosks and are available for €10 and €20. If puchased in a shop, the minimum purchase price is €10 including €10 credit. Bliep works differently than other providers. There are options that you can choose from and change anyday you want. All options are for one calendar day: 0.00-23.59 hrs. Activation is effective immediately and deactivations will occur between 11:30pm - 12:00am. If not deactivated, the last selected option will be used and if applicable, money will be deducted from your balance. First you have to activate the 0.50 via SMS (send 'aan' to 1350). Then, via the app or via the website, you can choose the 1.00 option and/or add the extra 0.50 option to have high speed internet. The app is available for Android and IOS. The website also supports mobile platforms (like Windows Phone). Bear in mind, that If you want to change or deactivate your current rate, you must do so before 11:30pm! 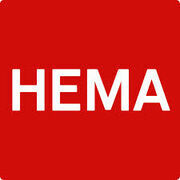 HEMA mobiel is the MVNO of the largest department store chain of the Netherlands. It works on the KPN network with an excellent coverage within the country. From any Hema store store locator for € 5 includes € 5 credit on the SIM. Vouchers for topups are available in the same stores and are valid only for Mobiel Prepaid Basis not the data only card. Speed is capped at 384 and 128 kbps! So for fast internet check the data SIM. Maximum speed is 7.2 Mbps in contrast to the other product line. For the Mobiel Prepaid Internet only online topups are accepted. For this you have to have a dutch credit cart or dutch bank account for the iDeal debit system. AH Mobiel is the MNVO of Albert Heijn, the largest quality supermarket chain in the Netherlands. It operates on the good KPN network. SIM Cards are available in all Albert Heijn supermarkets in the country: store locator. They have three product lines: the "prepaid bellen" with talk, text and data for smartphones, the "prepaid internet" with data only and the "Slim only" for smartphones to be managed by app. For activation text code to 1255. The top up balance is valid for 9 months, the bonus only for 1 month. Here is the catch: Top ups are only available online for this product line, not by vouchers. For that you need iDeal, a debit system which requires a dutch credit card or bank account. So it's only a viable solution if you know somebody locally. This is not necessary for the prepaid bellen SIM. Take care, for outside of bundle use or overuse, a hefty 0.35 € per MB are charged. Lebara mobile is Europe's leading phone company focusing on the ethno market. In the Netherlands it is a MNVO on the KPN network giving excellent coverage in the country. With Lebara the 3G speed of KPM seems not to be reduced and data rates of 7 Mbps are possible. A lot of kiosks throughout the country Lebara store finder sell the SIM card for free. Top up vouchers are available from a lot of more shops: Call shops, tobacco stores, Shell and Total petrol stations, Media Markt, post offices or Albert Heijn supermarkets (use store finder above). For activation text code to 8800. All packs will automatically renew after 30 days if there is enough credit. To stop send activation code followed by the word STOP to 8800. As hardest competitor of Lebara, Lycamobile often has very similar rates on a different network. In the Netherlands whatsoever Lycamobile is a MVNO on the KPN network too. It gives excellent coverage and unreduced 3G speed. You can get a SIM from most of the local mobile stores. Unfortunately they don't have a online store locator. So look for their logo. At Schiphol airport you can buy the SIM at the Service point at Schiphol Plaza passage 4. The SIM card is free, but you need to make a topup of at least 10 €. The following prices are for the Saver Plan only. Outside data rate is 9 cents per MB. All packages are for 30 days and will renew automatically if there is enough credit. To stop dial *190# at least one day before bundle expires. Mobile Vikings is a MVNO on the excellent KPN network giving very good coverage. The speed seems to be limited to 3G and 2 Mbps which is still quite fast. Mobile Vikings is a online only provider. On request, they send the card abroad what providers usually don't do. But you have to get in contact with them by email to get this done. Being already in the country, a online only provider is not so suitable as you need to have a steady postal address and have to wait up to 5 working days for delivery. As of August 2013, you can pay the SIM card with VISA / MasterCard. Only these two packages with data, SMS and reduced calling are available. It seems to be unclear which top up methods really work for international travellers in the absence of vouchers. All but Viking Points and Bitcoins need the Digipass system meaning a Dutch bank account or Dutch credit card. T-Mobile has the smallest network in the Netherlands with the lowest coverage. On the other hand, it's the only network which gives out 4G/LTE to all prepaid customers for free. 2G is available everywhere, 3G in many populated areas, but 4G is still being deployed, so limited coverage at the moment. See T-Mobile Coverage Map. A T-Mobile SIM only card costs €9.95 in a T-Shop (locator) or ordered online. It comes with €2.50 credit. Topups can be made directly in T-Shops or by vouchers of €10, €20 and €40 sold in many outlets. The following bundles are available and valid for 30 days each. Standard data rate out of bundle is €0.30/MB. To activate text <name of bundle> AAN to 4000 for free. Bundle will renew after 30 days if there is credit. To stop text <name of bundle> UIT to 4000, to check consumption text Saldo to 1144. Speed is capped at 3.6 Mbps / 384 Kbps. If this is true for 4G too, remains unclear. Thus 4G don't gives you more speed but only more resilence. The data only SIM called Prepaid Internet has a daily pack for one calendar day of officially 100 MB of internet use capped at 3,6 Mbps/768 kbps after which you may be cut down because of Fair Use Policy. Most of the time it does not happen and for €4,58 euros you can enjoy unlimited internet until 11:59 pm, after which you will be charged another €4,58. Further 5 € credit will be given out to all cards when the card is registered online and topped up for the first time. Default rate is the daily rate of 1 € for 100 MB per day. Overuse is charged by 0.15 € per MB. Their bundles are called BloX. Max speed at 3.6 Mbps/384 Kbps. Web BloX: 200 MB in 30 days for 9.50 €, activation: WEB AAN to 4000, deactivation: WEB UIT to 4000. 4G: 1 month for 5 €, activation: 4G AAN to 4000, deactivation: 4G UIT to 4000. The Web BloX is automatically renewed after 30 days when not deactivated, the 1 GB BloX for a change doesn't renew itself. When used up, daily rate applies or are new BloX bundle can be booked. LTE download speed is limited to 25 Mbps and upload speed is limited to 12.5 Mbps. Tethering is not technically allowed by Vodafone. However, they do not really enforce this on Android devices, but may be block on iOs phones in lack of a profile.